Over time, that beautiful new carpet floor will give way to dirty shoes, bad weather, nicks, stains and scratches. But before you think about replacing your carpeting, come to A & R Carpet Care & Professional Cleaning Services to see what we can do for you. 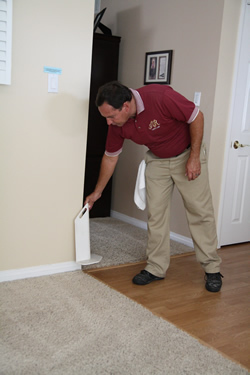 Let us extend the life of your carpet floors. Save your cash to remodel other parts of your house, and keep your carpet looking like new by calling the experts at A & R Carpet Care and Professional Cleaning Services today. 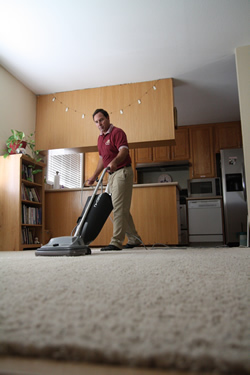 Before we begin the carpet cleaning process we inspect the carpets, check carpet seams, fiber type, wear, damage, and soiling. 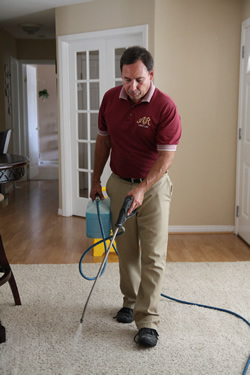 All carpet cleaning situations are different and may need to be handled differently. 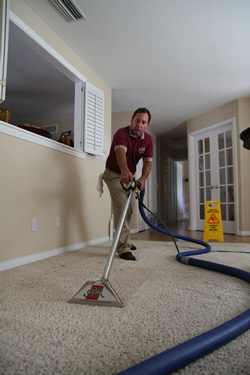 We vacuum all the carpet fiber to remove dry soils in the carpet. We place guards on the corners of your walls so no damage is done as we bring our hoses around corners. 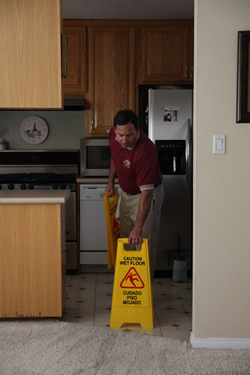 We place caution signs out to remind you that your floors could be slippery when stepping from damp carpets to hard surface flooring. Special spotters are used to remove difficult stains such as rust, tar, oil, ink, juice, wine, etc. We then pre-treat all carpet with a specially formulated carpet cleaning agent. 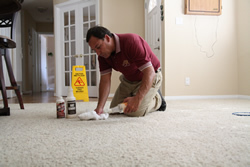 This agent breaks loose the soils in the carpet fiber allowing us to extract the dirt and grime. 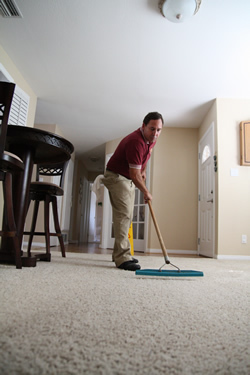 We rake in our specially formulated carpet cleaning agent in high traffic areas for extra agitation. 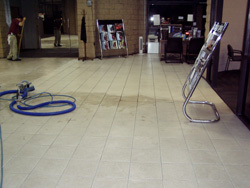 We then clean the carpet with our powerful, state-of-the-art, truck mounted cleaning unit. These units generate hot water up to 200° F and have a special rinsing agent to remove deep down soils in the carpet pile. 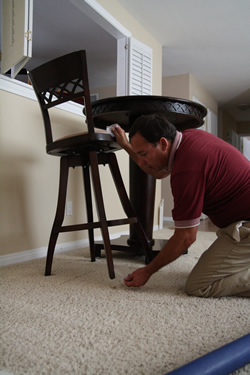 We place plastic tabs and styrofoam blocks on the bottom of your furniture to prevent moisture from damp carpets from wicking up into your furniture. 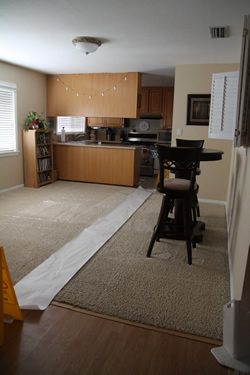 We lay down paper runners in high traffic areas to prevent re-soiling of the carpets during the drying period.